My guest today is the wonderful Kate Quinn, a fellow Romaphile who has diverted from Rome to venture into the world of women spies in WW1. Kate is a native of southern California. A lifelong history buff, she has written four novels in the Empress of Rome Saga, and two books in the Italian Renaissance, before turning to the 20th century with The Alice Network. All have been translated into multiple languages. I’ve always had the urge to tell stories, who knows why. My mother has a history degree, so I grew up hearing fascinating historical tid-bits as bedtime stories rather than fairy-tales; because of that, I gravitated naturally toward stories grounded in the past. My role-model authors for hist-fic have been Gwen Bristow (great story-telling, clean clear prose), Judith Merkle Riley (who showed me that historical fiction can be funny) and Bernard Cornwell (most thrilling historical action writing ever). 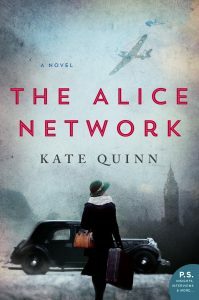 I wrote The Alice Network after stumbling across a reference to the historic ring of spies which operated during World War I, headed and masterminded by a brilliant woman nicknamed the Queen of Spies. I was astounded that the entire network wasn’t more well known, and wanted to pay homage to the incredible courage of these women who risked their lives to spy on the Germans. It’s fundamentally a book about women in war, and what they can accomplish when they join forces and refuse to be beaten. There are so many I find fascinating! 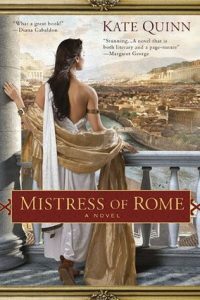 Ancient Rome, Renaissance Italy, Tudor England, World War I & II, the Roaring 20s…I suppose what they all have in common is that they are periods with both tremendous advancements in art or culture or science, but also tremendous upheaval and turmoil and violence, which makes great grist for novelists. I wrote The Alice Network in a year, which is fairly standard for me. I couldn’t travel to Europe to research the places visited in the book—it was a year with a lot of upheaval; extended travel wasn’t possible—so I relied on every online source and written source I could find to aid my research. I was lucky enough with The Alice Network to work with the modern-day descendants of several actual spies who worked for the real network during WWI, and whose archived letters gave me invaluable insights. Tear my hair a while, then find another one and keep going. I am a recent Scrivener convert—now I have no idea how I would work without it. I haven’t written longhand since I was a teenager; my thoughts race way too quickly for my hand to catch up! I love historic photographs. Look at a picture of the Queen of Spies who headed the Alice Network, and you see a tiny woman with a big lace collar and a corseted waist and poofed Edwardian hair…she looks as fragile and decorative as a china shepherdess on a shelf. Then you take a closer look at her eyes, and they’re sharp and humorous and hiding so much. 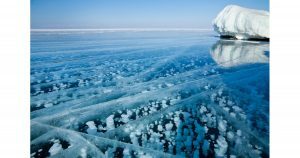 For the current WIP I have a photograph of Lake Baikal I’m using as inspiration—a huge, mysterious lake on the very eastern edge of Russia which I decided was my heroine’s birthplace. Find and befriend other writers, because your writer friends will keep you sane. My next book is another 20th century dual timeline, like The Alice Network. It involves an English war correspondent turned Nazi hunter teaming up with a Russian female pilot from the all-women night-bomber regiment known as the Night Witches, tracking a Nazi murderess who fled to America post-World War II…even as a budding teenage photographer in Boston begins to suspect there is something very wrong about her father’s new fiancee. I’m about 2/3 done and enjoying it hugely! Many thanks, Kate. Can’t wait to read The Alice Network and your next book about Night Witches! 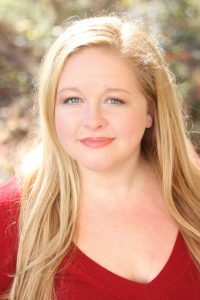 You can connect with Kate via her website, Twitter, Instagram and Facebook. I just read a sample from The Alice Network on my Kindle and am eager to read the rest of the book. The WIP sounds fantastic, too. Great interview! I am looking forward to reading The Alice Network. Looks great! I saw Reese Witherspoon loved it, too! Ms. Quinn has become one of my favorite authors. I’m excited to read her newest work! I’m totally fascinated by female spy stories, and the WW1 era is fascinating. This sounds like a book I would love! I usually gravitate towards specific time periods but when my favorite authors put out something new I must read it!!!! Anxiously waited for the day I can curl up with this one !! Sounds very interesting and thought provoking, a must read. Being familiar with Kate’s previous work we’re really looking forward to this book. Such an interesting story at a pivotal point in world history. Thanks. I’m excited to read The Alice Network. I love historical fiction and this one sounds suspenseful. This book has been on my TBR list since it released. That’s the best advice–befriend other writers–they are the only ones that have these people running in and out of your head! Nice interview can’t wait to read this book. I really like the range of historical periods that Kate Quinn has chosen as topics for her books. “The Alice Network” sounds intriguing too so I look forward to reading more books by this author. A really helpful interview and introduction to an interesting author.